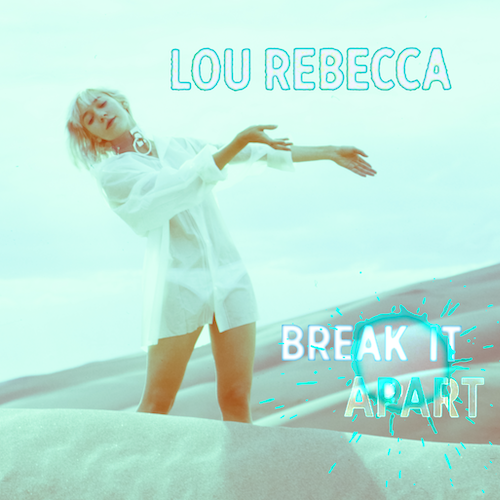 Lou Rebecca Premieres Her Latest Masterpiece "Break It Apart"
Returning stronger than ever, today Austin-based Parisian synthpop songstress Lou Rebecca unveils a peek at her upcoming debut full-length Restless out September 2oth, 2019. Fresh off the massive success of 2018's self-titled EP, Lou has been hard at work perfecting her monumental follow-up album with a bolder sound and even more extravagant videos, costumes and dance moves. Like the premieres for videos "Fantôme" and "Tonight" – Lou continues her romance with Gorilla vs Bear and her latest video for "Break It Apart" two days ahead of the single release this Friday. Choreographed, directed, edited and colored by Lou herself, this video was shot late last year in the multi-faceted landscape of Colorado.